You may or may not have heard of CDNs before. There are a lot of important parts to your website, especially if it’s the life blood of your business. However, a CDN can be considered an important external part of your site. In this short article we will cover more on what and why you should be using one. Her first sentence explains it better than we did, with less words. We wanted to include the second paragraph as well because this is another great advantage of using a CDN – and that is speed and security. Remember, if you ignore speed, you will be ignored… Speed is a ranking factor for Google. We wanted to give you that snippet just in case you didn’t believe us about how important speed is to your site. Those are crazy numbers from Amazon and how much just ONE second of extra load time cost the company 1.6 BILLION! Granted, you are probably not running a site as large as Amazon, but you should take into consideration the same things they do for a successful online presence. Good article from David. He also gives the same reason earlier in his article that it helps increase speed. He also goes on to talk more about DDoS attacks. DDoS stands for “distributed denial of service”. The way we like to explain DDoS goes like this. Let’s say you actually have a brick and mortar store. Then you have a competitor that doesn’t like you. This competitor pays a bunch of people to stand outside in front of the door, not allowing customers to get in. This is the basic premise of a DDoS attack. A bunch of computers or servers all going to your site at once. Then your regular customers can’t access your site because your hosting server is overwhelmed by the DDoS attack. A CDN will help eliminate this threat. If you didn’t know what a CDN is, you do now, as well as why you should be using one. Speed and security are the 2 biggest in our opinion. You can either setup a free account with someone like CloudFlare, or get a paid account with someone such as Amazon CloudFront, or a host of others. We have everyone of our clients on a CDN. Tony gives a ton of great information in that article. We really love his infographic that he has on the page and highly suggest that if you are attempting SEO on your own that you check it out and follow it! Everything he recommends in his post, we recommend, and implement for everyone of our customers as well. Mr. Messer, if you see this – well done on the article! We must add that depending on your niche and location, a lot more may be required to get, and maintain good rankings in search results. If your business is located in a major city, or very competitive, there will be a lot more involved. In this case one of the best things you can do is really dive deep into your site as to how it functions and is structured. This can be very “geeky” and too technical for some business owners. She produced a great article with a lot of technical information that will make most people’s head spin that aren’t in the industry. However, she does give good reasons why your site should be using Schema. We would like to add that in our tests, adding Schema and structured data in the form of JSON-LD to your site can make a significant difference in how well your site ranks in search. This is because you are talking directly to the bot and telling it what your site is about without the bot having to try and figure out your site by the page content. SEO, rankings and getting visitors to your site has changed over the years, and continues to evolve. 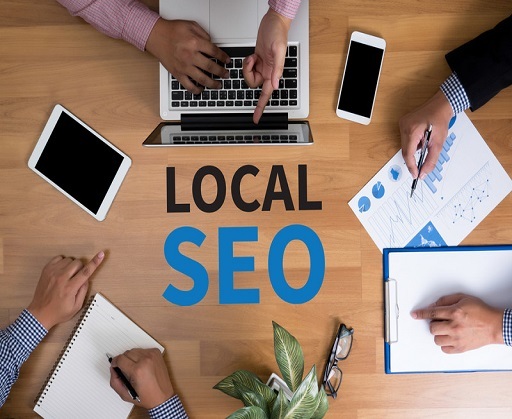 It is doable for some small business’ to take on their own search engine optimization, but will take a considerable amount of time from their daily schedule that could be spent instead focusing on daily operations. It will also involve a bit of a learning curve as well. Don’t let it scare you if you don’t have the budget to hire an outside firm. It is important to start creating a “foot print” on the web for your brand to compete in today’s online landscape. As usual, if it’s too much for you to handle, or you don’t have the time, you can always contact us to handle your local seo at MDIMSolutions. You can also connect with our CEO on LinkedIn. Your company’s brand reputation is extremely important to it’s success. In our last article we covered what Brand Reputation is. Here is something to think about – the lack of having any comments or reviews about your services or products can be just as detrimental as having bad reviews. In this short article we will give you 2 easy ways to start building a good reputation for your brand online. Good advice from them, especially their point of creating sharable content. It’s a great idea to take your content and share it across as many Social Media platforms that your company has. 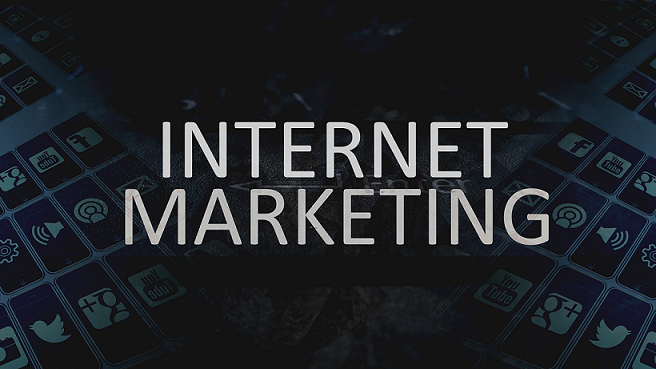 Don’t forget, Google isn’t the only place you can reach your target audience. So how do you go about setting up a blog? If you are using WordPress as your CMS (Content Management System), it’s super easy. Right inside the admin panel you can ad posts. A lot of other CMS platforms have this feature as well. But what if you have an HTML site or something else that it’s not so easy to make posts on? Our suggestion is go ahead and set up either a free or paid WordPress.com site, or a BlogSpot site that you can get free as well with Google. With either of these options you can link back to your main website inside the posts, or direct them where to go or whatever call to action you want. There are two great different ways of using video that we like, and have been using for awhile, to help in brand management. The first video you can make is what is known as an “Explainer” video, that does just that – explain your services or products. The second type of video we have been using is “testimonial videos”. These can be a little more difficult to produce, but if you have really good persuasive powers, you can talk a past client into being in a video for you. We totally agree with the writer that you must be authentic when creating this type of video. We would add that one of the biggest problems we see when companies create this type of video is over promoting, or bragging. If you start going on and on about how great your company is, or how many awards it has won is a problem. Most customers really don’t care about that and will quickly click off your video. What new customers want to know is how you have helped someone in the past, and how you can help them! We also agree with him that there is no reason that any company needs to be overly concerned or overwhelmed with just the though of making a video. It is extremely easy for any company to put out a quality video now. If your company is smaller and doesn’t have the budget to hire a professional video production company, there’s no reason you can’t do it yourself. There are plenty of online editing sites where you can edit your own video and make it look very professional. Before you just “wing it” making your own video, you need to put in just a little thought first to make sure you are conveying the proper message and reaching or connecting with your target audience. Something else that we feel we should add is that you don’t have to try and make a video go viral from the start, referring to Eric’s first point of a video that went viral because of a unicorn pooping rainbow ice cream. To get started you can just make a video with pictures of your work with before and after shots if you have a service type business, or multiple pictures of your products, and then voice over with a description about how your services or products can help solve your customers problems. Do not drone on about how great you are or how many awards you have received. We briefly covered why your business needs to be using video, as well as covered a few points about how to structure your video. So get to it, don’t let your competition get ahead of you by getting on the video band wagon before you! What brand reputation really boils down to is how your company is perceived by customers or clients online, and offline. It’s also involves the emotions and ideas the customers associate with your brand. It revolves around everything your company does, again not only online, but offline as well. The main components that can have the biggest effect on your brand reputation involve public relations, promotions and advertising and customer service. This can be as simple as someone typing into Google search your company name + “reviews” and what shows up in Google My Business reviews and also reviews left on Yelp and YP.com. It can also involve what people are saying about your company on social networks and talking about your product or services. How Is Your Business’ Brand Reputation? Amanda wrote a really good article. However, there is one point that she makes that we don’t totally agree with. She says that you shouldn’t spam search results with social media profiles and press releases. We do agree that you shouldn’t just build a lot of profiles and abandon them. How Do You Begin Working On Your Brand’s Reputation? How your brand is perceived is extremely important to your companies survival. It can make the difference in spectacular sells, or your business going under. By managing your reviews in search, what is being said on social media, as well as “buzz” about your business, you can take your company to new heights. What exactly is reputation management, and how can it effect your business? In this brief article we will cover what it is and why your company needs to monitor it’s online presence and what your customers are saying about you and your services. Online reputation is becoming more important for businesses of all sizes that do and don’t have an online presence. Just because your company doesn’t have a website, which in this day and age is ludicrous, or doesn’t have a Facebook page, or Twitter account, doesn’t mean that these platforms aren’t important or relevant to your company. Not only do you have to be concerned with what’s being said on social media, but also the countless directories online like Yelp, Manta, Kudzu, YP.com and a host of others. Good information from Kent that simply can’t be ignored. He also stated in his article that businesses with mostly 1 star and 2 star reviews fail to convert about 90% of new potential clients! In Kent’s article, that was mostly about what is happening with what can be found in Google search. But what about social media? Usually with social media your reviews are in the form of comments. Now there are more platforms that you need to be concerned about. The two major sites that you must monitor are of course Facebook and Twitter. Fortunately, it’s easy to respond to these comments, but you must respond to these comments calmly, intelligently and most importantly – RESPECTFULLY. Get this wrong and it can cost your company thousands, if not millions in lost revenue! All to often it’s something that companies and businesses think about after it’s too late. Bad reviews and negative comments are on multiple platforms and sales are plummeting. Our company prefers the avenue of “reputation marketing”, which is something we will get into in later posts. So stay tuned to our site for more on how you can protect your online presence.